2017 was the year in which the Marrakesh Treaty for persons with print disabilities really took off. During the year, EIFL engaged in a variety of activities designed to support libraries, and their governments, in their adoption this ground-breaking Treaty. In May 2017, Kyrgyzstan joined the Marrakesh Treaty, and adopted a new copyright law with broad new provisions for the benefit of libraries, education and people with print disabilities. The Treaty was also ratified in two other EIFL partner countries - Kenya and Malawi, adding to the global total of 35 countries that have joined the Treaty. The Treaty opens access to knowledge for hundreds of thousands of print disabled people. It gives libraries the right to reproduce printed works into accessible formats (braille, audio, large print, digital) and to exchange these across borders. We are proud to be a partner of the European Commission-funded project, OpenAIRE2020. Over 50 organizations in European Union countries worked together in making access to EC funded research free of charge. By the end of December 2017 the OpenAIRE portal included 24 million open access publications linked to 615,000 datasets. Our feature story in this Annual Report highlights our contribution to opening up research in three East African countries, Kenya, Tanzania and Uganda. Papers deposited in the University of Nairobi’s open access repository have been downloaded more than 63 million times since 2013. 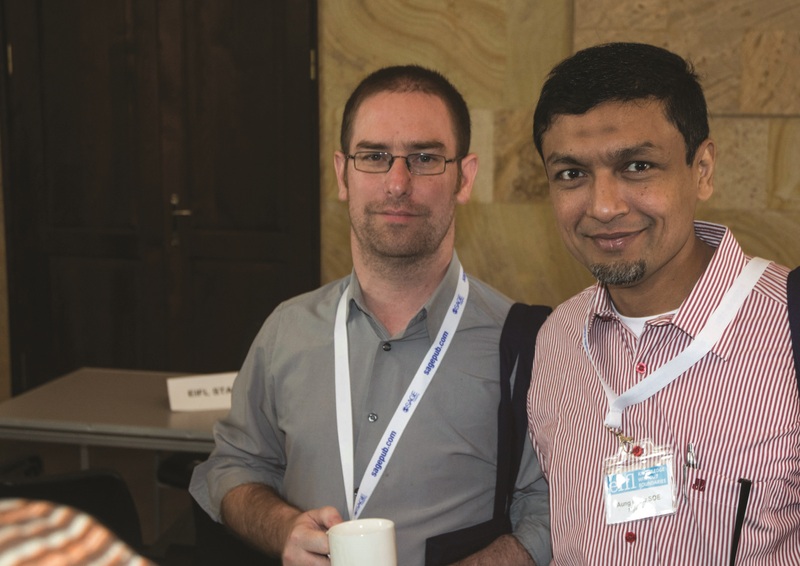 Students, researchers and faculty at 2,853 libraries that are members of library consortia in 40 EIFL partner countries made good use of commercial e-resources licensed by EIFL. In 2017 we counted over 5.8 million downloads of full-text articles and e-book chapters. A new agreement with the Department of Higher Education in Myanmar expands the EIFL eLibrary Myanmar project to include six more universities. The project is now making e-resources available to over 220,000 students. 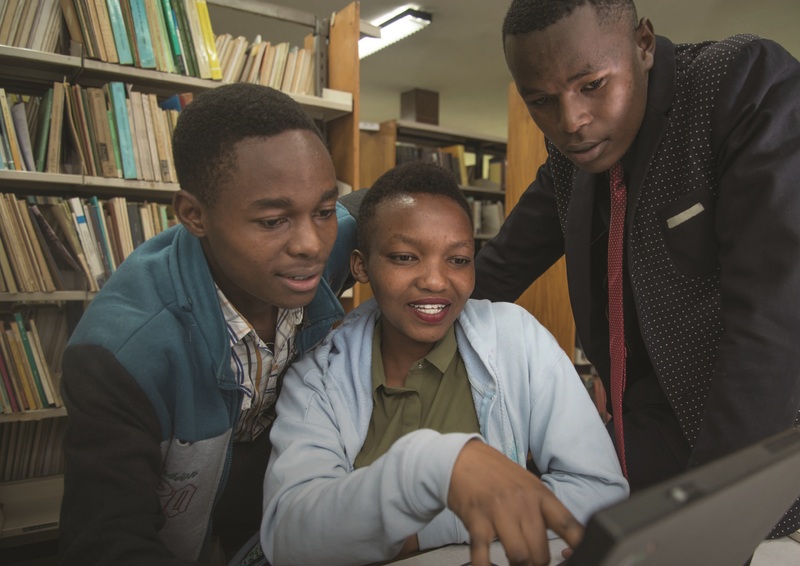 Thanks to supplement funding provided by the Bill & Melinda Gates Foundation, we were able to extend our ‘Capacity building for public librarians in Africa’ initiative to two more countries: Namibia and Zambia. We are building skills of librarians from all public libraries that have computers and the internet to guide people in discovering the internet and the opportunities it offers. In this report we’ve included the voices of the people who have taken part in our programmes and contributed to our achievements. Thank you to everyone who makes our work possible - our partners and funders, our board members and our enthusiastic and committed staff. I look forward to continuing our contribution to a world in which all people have the knowledge they need to achieve their full potential. In 2017, EIFL reached over 8,500,000 people. In 2017, EIFL reached over 2,900 libraries. In 2017 EIFL partnered with 40 library consortia. When EIFL organized the first-ever workshop on open access in Kenya in 2010, there was intense interest from researchers, students, university administrators, journal editors and librarians from across the country. This was the first encounter with open access for many of the people who took part in the workshop - and it struck a chord. “Immediately, I could see how open access would be very helpful to me and other researchers in Kenya and in Africa,” said Professor Mary Abukutsa-Onyango, from Jomo Kenyatta University of Agriculture and Technology (JKUAT). Open access (OA) is a scholarly communications model that makes scholarly research freely available online. It offers a powerful solution for researchers in East Africa who are doing important research and who want their work to be visible to the global scientific community. The 2010 workshop, at the University of Nairobi, marked the start of wide-ranging EIFL activities to promote OA in three countries in East Africa: Kenya, Tanzania and Uganda. The activities included support for OA awareness-raising and advocacy campaigns; setting up new and improving existing institutional OA repositories, and drafting OA policies that would encourage researchers to deposit their work in institutional repositories. Spearheading work in the three countries were our partner library consortia - the Kenya Libraries and Information Services Consortium (KLISC), which joined the EIFL network in 2008; the Consortium of Tanzania Universities and Research Libraries (COTUL), which joined in 2009, and the Consortium of Uganda University Libraries (CUUL), which joined in 2011. OA gained momentum and has put down strong roots in the region. In 2010, there were just seven institutional OA repositories in Kenya, Tanzania and Uganda. By 2017, 64 institutions had set up OA repositories. Together, they are providing access to almost 200,000 journal articles and research papers; books; conference proceedings, and theses and dissertations. Prof Abukutsa-Onyango is Deputy Vice-Chancellor (Research, Production and Extension) and Professor of Horticulture at JKUAT. Over the past two decades she has conducted extensive research into African indigenous vegetables: “My research has shown that African indigenous vegetables, like vegetable amaranth, jute mallow and African kale, have a part to play in addressing three major problems in Africa - poverty, malnutrition and food insecurity,” she said. Prof Abukutsa-Onyango continues to disseminate her research in OA, including depositing it in the JKUAT Institutional Repository, which was set up in 2012 as a result of OA workshops, training and advocacy funded by EIFL. The increased visibility has attracted the attention of the Kenyan government. University of Nairobi, with almost 75,000 students, is the largest and oldest university in Kenya. In 2012, the university was setting up an OA repository with support from EIFL. Professor Lucy W. Irungu, who was then the university’s Deputy Vice-Chancellor, Research, Production and Extension, believed that a clear OA policy mandating researchers and PhD students to deposit their output in the repository, and guiding them on how to do this, was needed. “I found that the library had developed an OA policy, but did not know how to approach management to get it accepted. At the same time, the university Vice-Chancellor was concerned about the university’s rankings. His dream was for the university to be ranked among the top 10 universities in Africa,” she recalls. In 2012, Webometrics Ranking of World Universities ranked University of Nairobi at number 14. Webometrics Ranking of World Universities ranks universities based on the volume of their online contents and the visibility and impact of their web publications, including the number of citations to research outputs. Expansion of the repository’s contents immediately produced results. “In June 2013 the repository recorded about 2.6 million hits (visits). In December 2013, we had about 4.2 million hits. In just six months the number almost doubled,” said Prof Irungu. By the end of 2014, University of Nairobi was placed 9th in Africa by the Webometrics Ranking of World Universities, and 1st in Kenya. In 2017 the university was ranked 7th out of 1,493 universities in Africa. There have been over 63 million downloads from the repository since 2013. 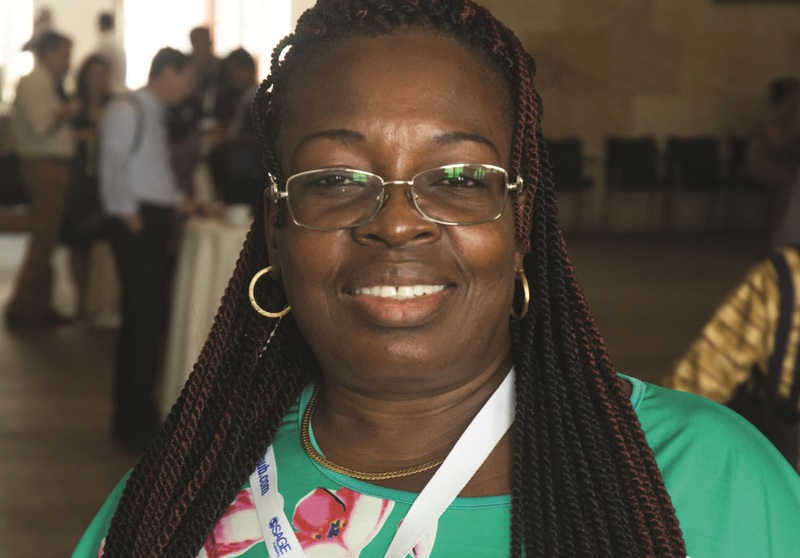 Prof Mary Abukutsa-Onyango attributes invitations to join new research projects, to give keynote speeches at conferences, and to undertake consultancies, to the way in which OA has increased visibility of her work. “People see my work and they want to collaborate. For example, I was hired as a consultant by GAIN (the Global Alliance for improved Nutrition) in 2014, to conduct nutrient retention studies on three fresh and dried vegetables. There was no rigorous interview - they appointed me on the basis of the work I published in OA. “In addition, I have been awarded prizes. Most recently, I received the Edinburgh Medal of 2014, for the impact of my research on indigenous vegetables, agrobiodiversity and public health on humanity. The medal was given purely based on research I published in the open domain,” said Prof Abukutsa-Onyango. “Our researchers’ profiles have improved,” said Prof Irungu. 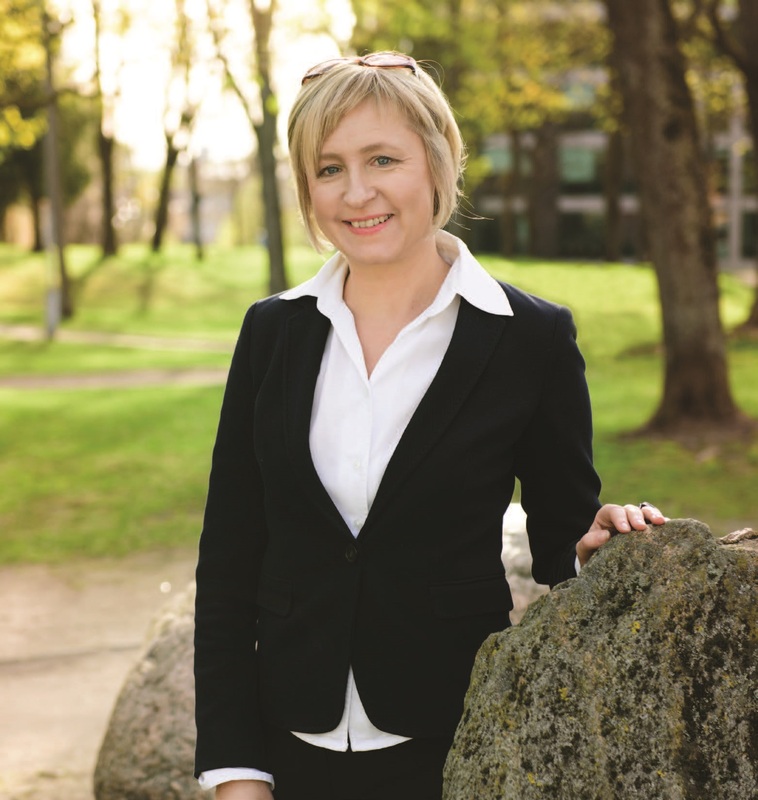 “We have seen an increase in the number of grant applications that are being submitted and the number of new networks formed. People from other countries are contacting us from out of the blue! They have seen the kind of work we are doing and they want to partner with us,” she said. Richard Sebaggala is a researcher and lecturer in economics at Uganda Christian University (UCU), which was the first university in Uganda to adopt an OA policy, in 2014, as a result of the first EIFL supported OA policy workshop in 2012. He is an ardent supporter of OA and deposits his research in the UCU Digital Institutional Repository (UCUDIR). “When the students visit the repository they are able to read my research see the links between the theory that I am teaching, and how this theory is applied in practice,” he said. “UCUDIR and other OA repositories are extremely important. When my students need to read articles to compare our situation in Uganda with what is happening elsewhere in the region, I know they will be able to find good quality research that is freely available. This has made a difference to the quality of their thinking and ideas. They are more able to come up with research topics that are relevant to Uganda, and that will help our country grow and develop,” he added. Open access creates a global platform for discussion and feedback. “You have to make sure that your research is of a very high quality if you want it out there in the open. It has to be good, something that you are proud of, so I think that OA has also created greater awareness about the need to adhere to academic principles and standards. Research must be more relevant, and there is less duplication,” said Prof Irungu. Kenyan universities are leading the way, with a total of 42 OA repositories. In Tanzania 13 universities and in Uganda nine universities have set up OA repositories with EIFL support. In all three countries, the number of OA policies mandating researchers and PhD students to deposit their work in the repositories is steadily increasing. Once adopted, the policies will further boost the amount of research from the region that is openly available, with positive outcomes for economic and social development, research and teaching. Encouraging students and researchers to practise OA was the goal of another EIFL partner, Tanzania´s Muhimbili University of Health and Allied Sciences (MUHAS). “Our curriculum on information literacy also includes awareness of OA. We organize workshops which are open to all, and which attract post-graduate students and we organize seminars on OA for academic staff. As a result, more students and researchers are depositing their papers in our OA repository, which was set up in 2011,” said Associate Librarian Professor Tandi Lwoga. At UCU, said Sebaggala, staff are increasingly being encouraged to deposit in the repository whenever they publish, and also to deposit unpublished research. “We are using the argument that this will make their research more visible,” he said. Open access has made me more visible to my fellow researchers and also to funding bodies that are looking for people working in my area. I have been able to build new relationships. People see my work and they want to collaborate. Meet COBES-CI – Consortium des Bibliothèques de l’Enseignement Supérieur de Côte d’Ivoire – the newest member of EIFL’s network of 40 library consortia. Launched in February 2017, the new consortium represents 23 university and special libraries, serving 70,000 students, researchers and faculty. One of COBES-CI’s main motivations for joining the EIFL network was to take advantage of special agreements that EIFL negotiates with publishers. Through EIFL’s agreements, members of COBES-CI are eligible to access 31 commercial e-resources free or at substantially reduced prices. The e-resources include e-journals, e-books, reference works and aggregated databases covering a broad range of subject areas all of which are essential for research and education. But COBES-CI faces a major challenge. Very few universities have static IP addresses, which are needed to gain access to commercial e-resources. COBES-CI is seeking a solution through an agreement that EIFL has negotiated with a software company for cloud-based service that issues fixed IP addresses to its library customers. To make EIFL negotiated e-resources accessible in all our universities. That is our vision. In 2017 students and researchers downloaded more than 5.8 million full-text journal articles and e-book chapters across the EIFL network. In 2017 libraries saved over 298 million US dollars through EIFL-negotiated deals with publishers. In 2017 the average discount EIFL negotiated with publishers was 98%. 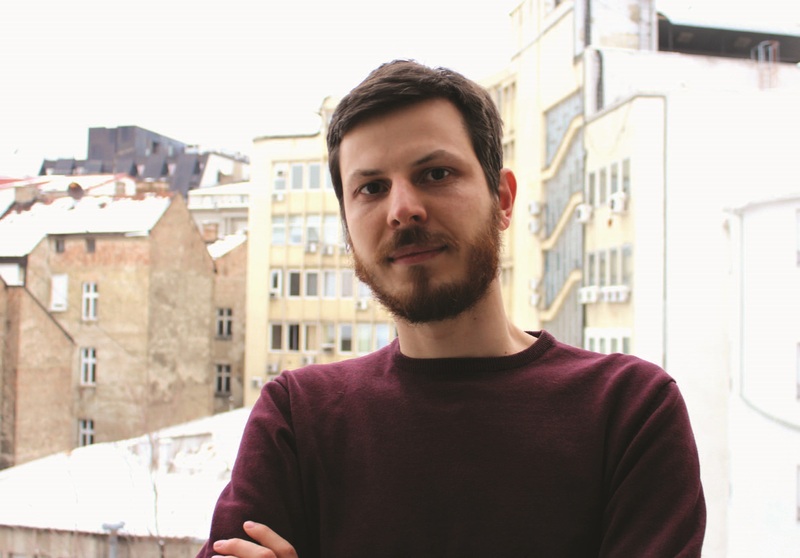 Srdjan Prodanovic is passionate about his work as co-editor of ‘Filozofija i drustvo’ (Philosophy and Society), a journal published by the University of Belgrade. Like many Serbian research journals, ‘Filozofija i drustvo’ was available in open access (OA), but was struggling to reach a global audience. “The reason is – we were failing to meet the quality standards required by journal indexing services, and so these services were excluding our journals. Sadly, visibility of our research was decreasing,” explained Srdjan. In 2016/17 EIFL, the National Library of Serbia and KoBSON launched a project to improve OA publishing practices in Serbia. Activities included raising awareness about the benefits of OA publishing; technical workshops on the open source publishing platform OJS and creating templates for journal policies. “We migrated our journal to OJS in March 2017, which improved our publishing operations. We also developed and published detailed journal policies which clearly describe our commitment to quality, peer-reviewed OA publishing. “Now ‘Filozofija i drustvo’ has been accepted by the Emerging Sources Citation Index and the Directory of Open Access Journals. We have applied to more indexes and I am confident our applications will succeed,” said Srdjan. In 2017 - 18 new open access policies were adopted across the EIFL network. In 2017 over 170 new open access repositories were launched in the EIFL network. In 2017 over 16,000 people were trained in open access topics across the EIFL network. Professor Allan Rocha de Souza lectures in law at the Federal University of Rio de Janeiro in Brazil. As an educator, he is keenly aware how copyright laws hinder provision of high-quality knowledge to students. “When teaching, you need the most up-to-date research and educational resources. But most universities in developing countries do not have the necessary access. Copyright law as it is in most developing countries, complicates teaching and learning,” he said. 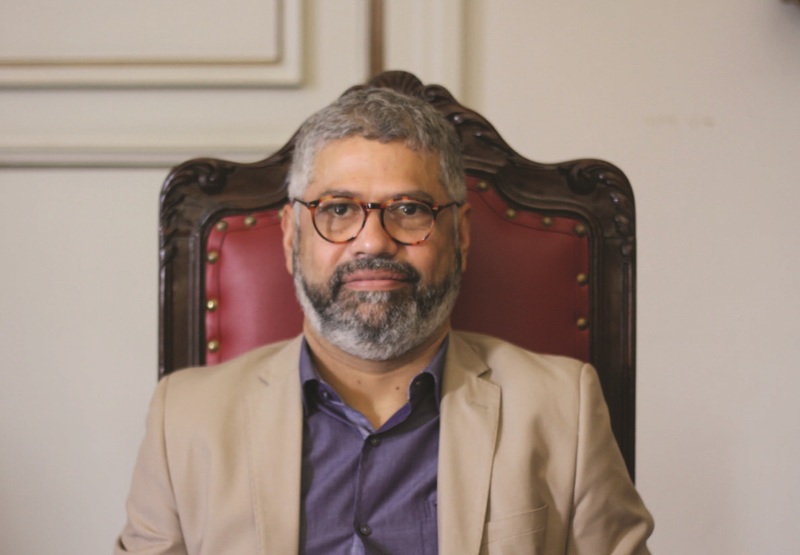 Prof Rocha de Souza believes an international treaty setting exceptions and limitations that allow for reasonable copying and sharing would help improve education. EIFL advocates at the World Intellectual Property Organization (WIPO) for international copyright law reform that benefits library users, researchers and educators. In 2017, EIFL supported participation of Prof Rocha de Souza at a panel discussion at WIPO on challenges and opportunities for copyright and education in the digital environment. We need an international treaty to set global standards for modern ways of teaching and learning. 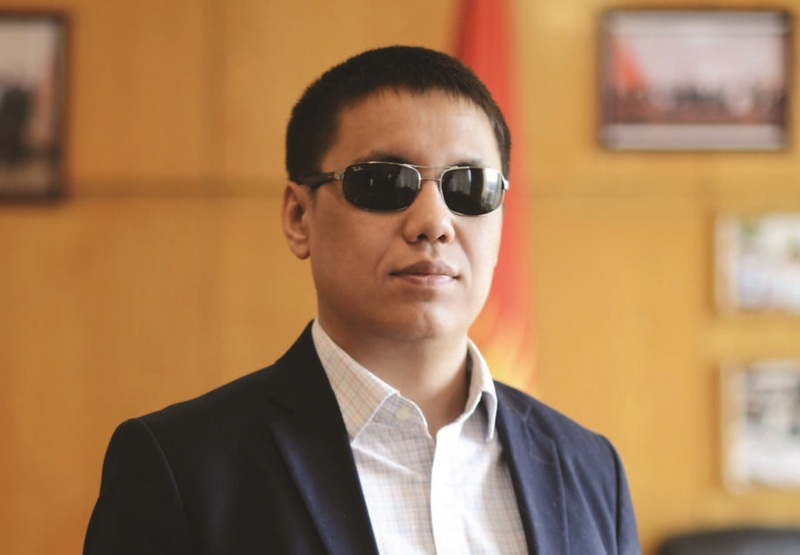 Dastan Bekeshev, the first blind person to be elected to parliament in Kyrgyzstan, worked tirelessly for accession of the Kyrgyz Republic to the Marrakesh Treaty. The Marrakesh Treaty makes it possible to convert printed works into accessible formats like braille and audio, and to share them across borders. “The Treaty will make a huge difference to blind and visually impaired people in Kyrgyzstan. It will increase our access to knowledge and open opportunities for education and employment,” said MP Bekeshev. EIFL supported a Marrakesh Treaty advocacy campaign in Kyrgyzstan, which drew in many organizations and individuals: the Kyrgyzstan Library Information Consortium, led by Sania Battalova, blind and visually impaired people, policy makers, copyright lawyers and other MPs. “We all stood together. I personally phoned every Government minister asking them to sign the draft law on accession to the Treaty,” said MP Bekeshev. On 15 May 2017, the Government deposited its instrument of accession at the World Intellectual Property Organization (WIPO), and on 15 August 2017 the Treaty entered into force in Kyrgyzstan. “We did it! We were the first country in central Asia to accede to the Marrakesh Treaty,” said MP Bekeshev of this proud moment. Now libraries can produce Braille or audio books without being afraid of infringing copyright laws. In 2017 EIFL engaged in library copyright law reform in seven countries in the EIFL network. In 2017 EIFL supported Marrakesh Treaty ratification in eleven EIFL partner countries. In 2017 over 3,400 people were trained in copyright related topics across the EIFL network. 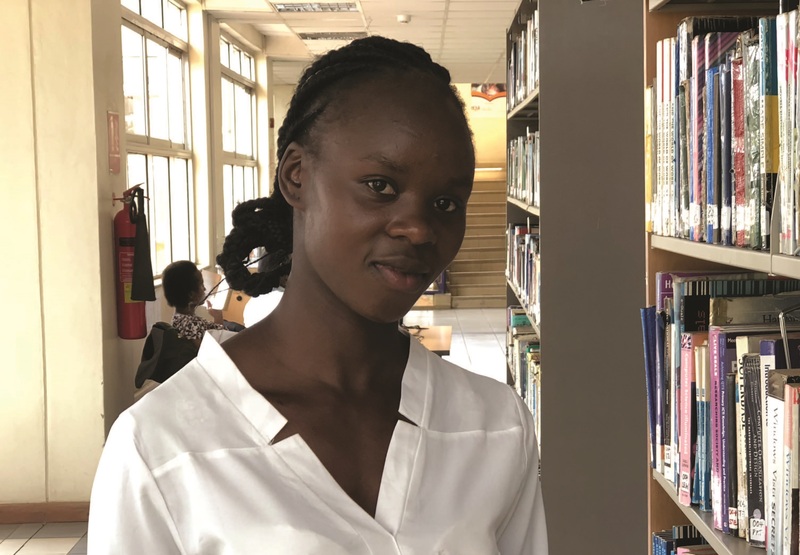 When Roselyne Kadarima, aged 23, heard that Nakuru Public Library was facilitating online learning, she jumped at the chance to sign up for a course in community journalism. Roselyne, who is unemployed, knew that there were many free courses available online that could improve her chances of getting a job. However, online learning is lonely. Without peer support, facilitation or skills, many people fail to complete courses. Or, like Roselyne, they do not have the confidence to enrol. In 2017, to help online learners, EIFL and Peer to Peer University tested Learning Circles in Kenyan public libraries. Learning Circles are free study groups for people who want to take online classes together and in-person. Learners share knowledge and skills, and motivate each other to keep going. “The librarians guided us and involved us in discussion. I liked it so much!” said Roselyne. The library helped me finish my course. I am using the journalism skills to create messages about HIV/AIDS, because the illness has spread in our community. 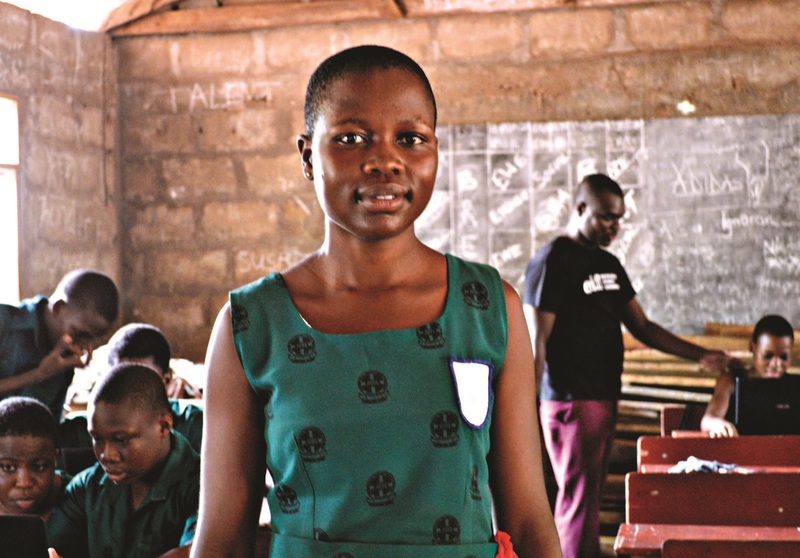 Pascaline is a 16-year old student who goes to school in Volta Region, Ghana. She must write a crucial exam this year – the Basic Education Certificate Examination (B.E.C.E. ), which is the gateway to secondary school. Like many children in Ghana, Pascaline attends a school that does not have computers or an internet connection, and so children learn about ICT in the abstract. As a result, failure rates in the ICT exam are high. Many children who fail face uncertain futures, because their parents cannot afford to keep them at school. With support from EIFL, mobile libraries in four regions of Ghana have come to the rescue. Every week, they travel to 17 under-resourced schools bringing solar-charged laptop computers and modem internet to give over 3,000 children hands-on computer classes. In 2017, 81% of children who took part in the library’s classes passed ICT in the B.E.C.E., 46% more than in 2015. Pascaline must write her B.E.C.E. in 2018. She has been attending the library’s classes for three years now, and she is confident that she will pass. After the library’s classes I now believe I will pass the ICT exam. In 2017, EIFL-PLIP trained over 400 public librarians to develop and implement new library services that use digital technology. In 2017, more than 3,500 children and youth acquired new knowledge and skills through public library services supported by EIFL-PLIP. In 2017, public librarians from 11 countries took part in EIFL-PLIP capacity building initiatives.